“It’s a labour of love. We love doing it and we love screening these films. 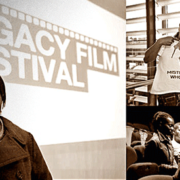 Legacy Film have gone from strength to strength since launching their first festival in Brighton five years ago, to showcase work by and about people of African and Caribbean origin. The key to their success is a do-it-yourself ethos and the desire to share the rarely shown gems they’ve discovered. “I thought, why aren’t there more stories like this being shown?” said Legacy Film founder Paul Jackson. That was his reaction to the BBC adaptation of Small Island, which depicted the Empire Windrush generation of Caribbean migrants and their relationships with the English people they encountered. The desire to find more of those stories, coupled with his love of film and involvement with community organisations such as Brighton & Hove’s MOSAIC (a charity for families of black and mixed-race parentage), galvanised Jackson into action. 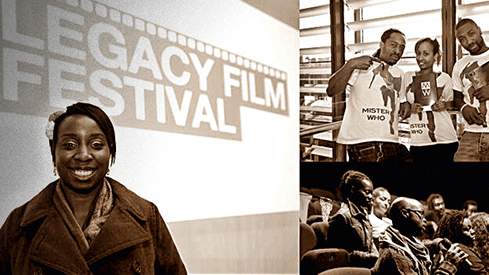 In 2010 he launched the first Legacy Film Festival in Brighton, to coincide with Black History Month. Since then, Legacy have built up a loyal following due to their eclectic and inclusive programming of work offering ‘positive representations in film for those of the African and Caribbean diaspora’. Their screenings are a clever mix of genres, styles and themes encompassing animation, shorts, documentaries and full-length features. The first two Legacy Festivals received funding from Screen South. But despite their established track record and the undoubted appetite for stories reflecting the black experience more fully, Legacy still faced hurdles when attempting to set up more regular screenings at local cinemas. “We were told that there was no market or audience for the films we wanted to show,” Jackson said. Frustrated by this lack of support, Legacy decided to adopt a do-it-yourself, more maverick approach. Armed with the essentials (a screen, projector, amp, speakers and DVD player), Legacy were equipped to progress on their own terms and now have a regular home at The Blue Man in Brighton. As Legacy have developed, Jackson has been joined by Althea Wolfe, their Project Director, who has a particular interest in the development and promotion of Caribbean cinema, and Issey Osman, who now leads on programming. The screenings are still free because for now at least, Legacy’s priority is to build an audience willing to take a chance on unfamiliar work because they trust the knowledge and judgement of the people who have chosen it. In the long term, Legacy would love to have a permanent space for film screenings and events such as music and spoken word performances, bringing together other like-minded creatives who live and work in the city. A great example of Legacy’s collaborative approach is Who is Oscar? This Arts Council-funded project showcased the work of Oscar Micheaux, a 20th century African-American filmmaker who made over 40 self-financed films (“the original crowd-funder”, according to Jackson). A Legacy screening of Micheaux’s 1920 silent film Within Our Gates was accompanied by a live soundtrack by WOMAD international award-winning musician Saida Kanda. A short documentary about Micheaux by American filmmaker Tim Reid was also shown, and the whole event was introduced by spoken word artist Elmi Ali. The event toured to venues in Southampton, Hastings, Crawley, London and Brighton and was documented by director Cathy Hassan and photographer Nathaniel Bagot-Sealey. Legacy also have a presence at the local African Night Fever music nights organised by Ebou Touray. Alongside the live music and DJ sets, Legacy screen short films – another way of raising awareness about their work and building links. The most satisfying aspect of the Legacy screenings is the positive feedback. “I like to see how people respond and react to the films. Sometimes people surprise you, and it’s great when they come up to tell you their thoughts about what they’ve seen,” said Jackson. Quadrophenia DOP – Brian Tufano More productions in Brighton?